Jamiyah Singapore celebrated Independence Day with a special note, by welcoming KlearKarbon Pte Ltd and the Hyundai Elantra Club to Jamiyah Food Bank at 9 Tannery Lane. 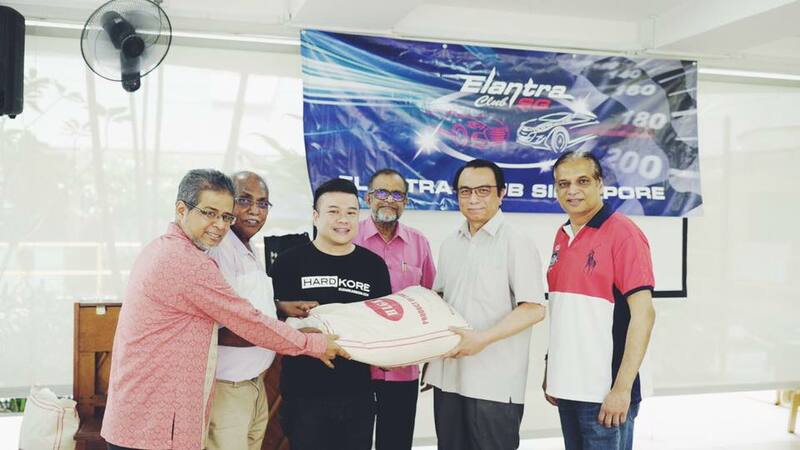 KlearKarbon Pte Ltd together with Hyundai Elantra Club, donated 3,000kg of rice to Jamiyah Food Bank. This would benefit the needy and our beneficiaries, regardless of race and faith. We thank KlearKarbon – Pure Hydrogen Engine Decarbonizing Specialist & Elantra Club (Singapore) for their magnanimous contribution and ardent support towards the service mission of Jamiyah Singapore.